Here today on Tips2secure, after Russ Jones from Moz and Nisha Pandey, Atish Ranjan with us to share his blogging experiences with our readers. 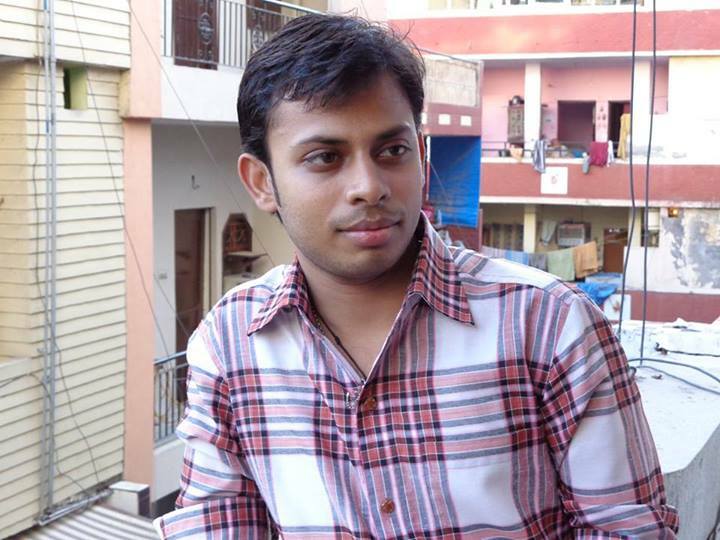 Atish Ranjan is from Sitamarhi, Bihar, India. So let's start with him to know more about him and his experiences in blogging. Hi Suresh, Thanks for having me here on your blog. 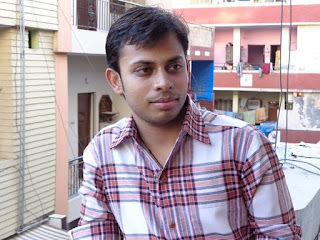 I am Atish Ranjan, and I am from Sitamarhi, Bihar, India. I have done my schooling in my hometown and moved to New Delhi after completing Matriculation. Here, I have studied further and completed BCA. Then I did a job for five years as SEO. I started my blogging journey in 2010. Before this, I was helping one of my friends by moderating his forum. There I found Zainil Dedhia, and we became friends. He gave an idea to write blogs along with working on the forum. And, I did start a blog on blogSpot where he was also a co-author. After blogging on Blogspot for quite some time, we got to know about Wordpress, and we had migrated the blog to Wordpress, and registered the domain www.techtricksworld.com. When I started my blog on blogSpot, I didn’t know that what I was doing is called “Blogging.” Even, I had no vision of making money as I didn’t know that a blog can make money too. The sole purpose of starting the blog is just sharing what I know, and learn more. When I came to know a bit of about blogging, a vision developed inside me to make this blog popular. Money making was never the purpose, but later I learned that it can actually make money, and blogging can be an excellent business model as well. Since then my blogging journey started to take shape as a business model for me. And, I am proud to say that I am now a full-time blogger, and earning a living out of it. Not just the topics, the whole blogging thing is very challenging. Nowadays, millions of blog posts are being published every day that is making the competition fierce. Therefore, the most challenging thing I find about my topic is to come up with fresh ideas every day and getting good profitable keywords for them. And, when I get the topic then the challenge comes in front of me is to make the post far better than other articles on the similar topic. Because if I don’t make my articles better why would people read my articles when they are already getting better articles on the web. As I said in the last answer that coming up with new ideas regularly is tough. But, as I do read a lot on various blogs, I get so many topic ideas to write on. Also, I do repurpose my old articles sometimes, and many of them give me new ideas as well. And, sometimes I get ideas from the comment section of my blog. Overall, there are various ways; I try finding ideas to write content on my blog. I also visit Google News, Yahoo News, etc. They give ideas for new content as well. Ques: Give us latest statistics (Visitors, earning and other that you want to share) of your blog? I am using Hostgator, Bluehost, Hawkhost, and One.com for my different blogs as I have a long list of blogs. However, I use one.com for Techtricksworld as this is the first host which was recommended by a friend who booked the domain and hosting for me. The pricing is quite affordable, and service is excellent. Thus, I chose it as in early days I did not have much money to invest. But, I never faced any issues with one.com, so I am still with them for many of my blogs. Tools for Traffic? I didn’t get you. If you are talking about spam traffic generator tools, then I will say NO, I don’t use such tools. I use Long Tail Pro for Keyword research, and that is more than enough to get me profitable keywords. And, using those keywords, I create content. That help me rank well for many keywords, and they help drag a good number of organic traffic. Apart from this, I use Buffer, HootSuite, and Dlvr to social media posting. But, I am not using these too frequently. Google Adsense, Affiliate, and Sponsored reviews primarily. Ques: Which are your top favorite blogs on the internet? My own blog, Labnol.org, Backlinko.com, howtogeek.com primarily. However, I don’t stick to particular blogs rather I read articles that have good information. I have gotten Inspiration from Saksham Talwar and Bamidele Onibalusi in my early days of blogging. The failure was when my blog got a Manual Action Penalty because of some unnatural outbound links, but within a short span of time, I got the penalty removed. Achievements are many, but when my blog started to rank for many keywords on top pages of Google, in the beginning, it was like the best achievement I could remember. Apart from this, the biggest achievement is that I was able to leave my day job and become full-time blogger. First thing, one suggestion I give everyone that don’t think of money from the day you start blogging because it’s kind of different business where you have to work hard to make a good position for you and your blog online and help people with your useful content. Once you think, you are helping hundreds of people with your content, and then think of cashing out your efforts. Second thing, if you are planning to blog professionally, don’t choose free platform. Get a domain name of your choice, host that on some hosting server, and start blogging. Third thing, read a lot and write a lot. These help you become a better blogger gradually. I am expanding my blogging empire. Many niche and micro-niche blogs are there. 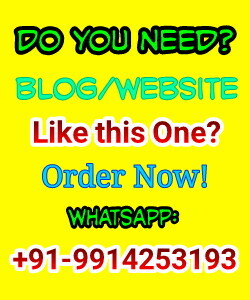 I have started offering services as well that you can see here => www.stechie.com. Ques: Tell us few apps or services that you are using these days. As I said earlier in the article, that I use HootSuite, Buffer, and Dlvr for social sharing. I use Analytics app to check my blogs’ traffic stats. I use content writing services of many freelancers for getting content for my niche sites. You have a nice blog and have a good content as well. But, a few things I would like to advise that may help your blog grow well. The first thing is, if you are blogging professionally, move it to Wordpress because there are more customization options you will get. Second thing, try keeping a single row menu. Currently, it is going in two lines. You can increase font size a bit too to make the content easily readable. I don’t find social sharing button that you should add there to make sharing easy for your readers. Overall, the blog is quite good and some changes can give a great boost to it. Focus more on writing content that solves some issues that people try to find on internet. 1. Menu row is fixed. 2. I will take action on font size soon. 3. I was also using social sharing widgets but later, I removed because they increase the loading speed of site. That is why I use simple Url widgets to make our users able to share our posts. You can find it below every post. I have already shared a few things to improve on your blog. If it comes to Team, I would say that make every decision when all your team members agree. Have good discussion session every week to talk on how to go forward, and what else to make the blog even better. Message: I hope that you have enjoyed '3 Secret Tips to Rank Older Blog Posts Easily in SERP' article. However, if you want me to deliver more items, then please share my post. You can use Social Sharing Widget provided at the end of every post. After all, Sharing is Caring! I have really enjoyed answering your questions, Suresh. You have asked some questions which are founded by readers in an interview article. I know Atish from 2013 when I have started blogging. He is very down to earth and helpful person. Thanks so much Atish for sharing your experience here. So that readers will be helpful. Hmmm.. Atish is doing a great job.